Founded in 1935, the Universidad Autónoma de Guadalajara, located in Zapopan, Jalisco, is the oldest and largest private university in México. The UAG is coeducational, nondenominational, and nonprofit; it is independent and self-contained-autonomous and neither has, nor is dependent upon, government, church or political affiliation. While over 80% of the UAG's students are Mexican, students from countries all over the world are enrolled in a variety of degree and specialization programs. The University offers numerous semiprofessional and specialization courses, and grants 52 undergraduate, 12 masters, 26 specialties and 2 doctoral degrees. 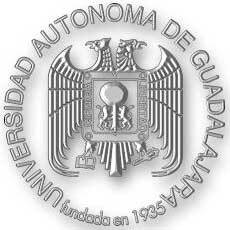 The Universidad Autónoma de Guadalajara is accredited by the Mexican Federal Secretary of Public Education (SEP). The UAG's deep commitment to education is evident in both the variety and the number of programs offered. The University comprises over twenty schools including the schools of Accounting, Agriculture, Architecture, Biological Sciences, Business Administration, Chemical Sciences, Dentistry, Economics, Education, Engineering, Fine Arts, Industrial Design, Interior Design, International Careers, Law, Linguistics, Communications, Mathematics, Medicine, Natural Sciences, Nursing, Psychology, etc. In addition, the UAG maintains educational exchanges and affiliations with universities worldwide. Making maximum use of its resources, the University operates an elementary school, two middle schools, and three high schools, as well as postgraduate studies, continuing-education and a Community College (UNICO) the first in México. Various support facilities have helped UAG become increasingly self-sufficient in achieving its educational goals. Among these facilities are two teaching hospitals, a dental clinic, the Medicine in the Community Program (PMC), three convention centers, four libraries, Ocho Columnas newspaper, sports facilities, and a great number of services for the UAG community, distributed in five campuses.